ScreenShooter is a lightweight System Tray based application written in C# designed to handle taking and using screenshots easily. Because there are 3 different ways to take screenshots, you can easily get the shot you’re looking for! You have the choice of the standard way of taking a screenshot of the entire screen. In addition to that, you have the ability to take a screenshot of just one single window. Lastly, you can take a screenshot of a specific region of the screen. 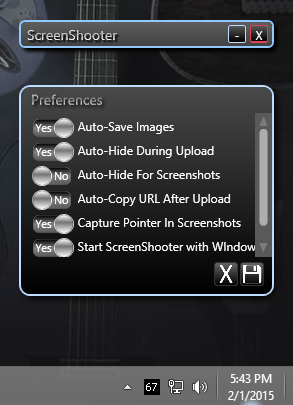 After you’ve taken a screenshot in one of these three ways, you can choose to copy the image (to paste into another application, like paint or Photoshop), save the image to your computer, and the most noteworthy feature of ScreenShooter is you can temporarily upload the resulting image to this website. ScreenShooter gives you a link that’s valid for 1 week after it’s uploaded! Take Screenshots of the entire screen. Take a Screenshot of a single window or control. Grab one of a screen region. 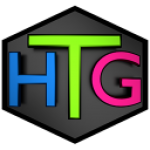 HotKey shortcut support. Use it anywhere with a shortcut! 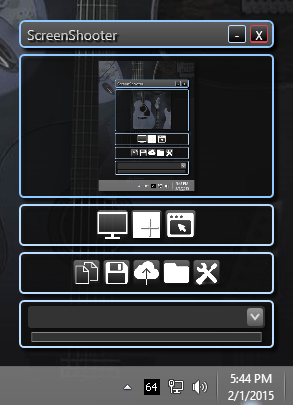 Built in editor (Crop, resize, draw). Save screenshot to computer (Manually or automatically). Copy screenshot (for editing in graphics program). Temporarily upload screenshot to this website. Temporarily upload video and archives to this website. A growing list of settings and options. 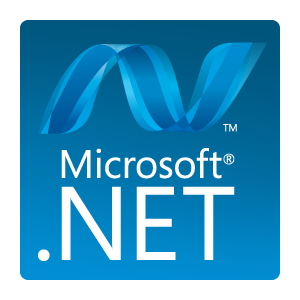 ScreenShooter requires Microsoft’s .Net Framework 4.5 or newer. If you have any questions, want new features, or find any bugs, please feel free to submit a ticket by clicking on the Product Support link at the top of the page!